If you've never been to an Apple launch event, you're missing a jaw-dropping ritual of the Silicon Valley: Thousands of Mac-olytes packing into a huge auditorium, along with hundreds of members of the press, speaking every language on the planet and carrying every type of digital camera, laptop, etc. All to hear Steve Jobs talk a little about about Apple's revenue stream, demo some new gadget, and then ... "one more thing." A phone, iPod, computer, Bono jam session, you name it. It's a wonderful slice of Valley life that makes you realize how much people outside our little bubble of entrepreneurial technology love to peek in. The latest Apple release, though, has to go down in history as the quietest. Apple just released new products and Earth didn't move on its axis and satellites in space pretty much stayed their course. The company's desktop flagship, the 24 inch iMac, now has double the memory, double the storage, and, in a nod to the recession, costs less than $1,500. For you laptop users, a new Mac Pro has been unleashed, which boasts the fastest graphics ever on a Mac. 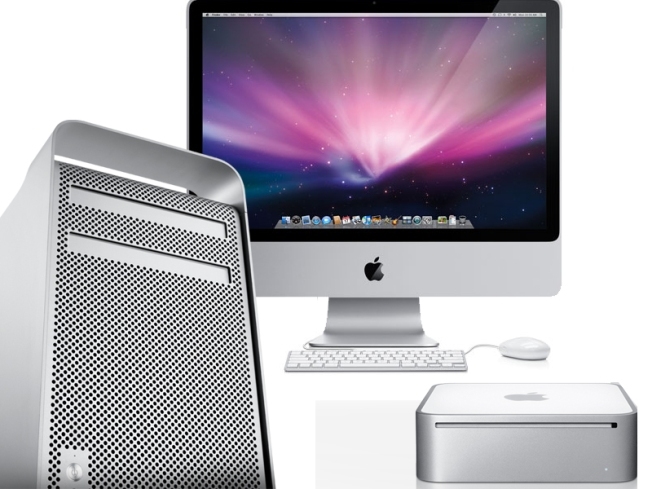 You'll also find a new Mac Mini, complete with a faster graphics processor. All this, with no fanfare. No press conference, no big demo, no Mac-Arena filled with cheering faithful and no rock concert to wrap things up. With Jobs sidelined on medical leave, it's clear that Apple is just a company. A good one that cranks out solid products people love. But an Apple rollout event? .. that's all about Steve Jobs. We've come to expect, even rely upon, the black turtleneck and blue jeans in the same way we used to rely on hot chocolate after a tough day at school or pizza in the dorms after struggling on a test. You see Jobs prowl the stage with the prayer-like hand gesture, and you know things are OK in the tech world. He makes it OK to be flashy about what other companies do with a mere press release. New Dell computer? Read about it. New iMac? I'm gonna drive 90 minutes to watch KT Tunstall try it out. Except this time. Jobs is on leave, and the Nasdaq is scraping decade-long lows. Maybe it's best to let both heal, before we launch products with big fanfare again. I'm ready to step back, but not without optimism. I still have faith in the Nasdaq and I'm looking forward to another Steve Jobs performance, complete with a Sarah McLachlan serenade or John Mayer jam session. I'm even willing to share it with 10,000 fellow techies and reporters. I'll see you there.